M'GANN M'ORZZ: Born and raised on the planet Mars, M'Gann hails from a warmonger race of psychic shape-shifters known as White Martians. When her people invaded the surface of their world they wiped out the peaceful race of the Green Martians in the Martian Holocaust, M'gann served as a prison guard in the Galle Crater's concentration camp. However, unlike most of the other White Martians, M'gann had a sense of honor and justice. She could not stand the slaughter of all those innocents at the hand of her kind, so she tried to free as many Green Martians as she could. Her attempt was discovered and the other guards came after her and managed to kill everyone but M'gann, who escaped from her planet and sought refuge on Earth, where she hid for centuries. 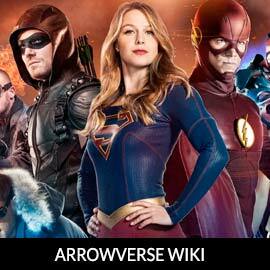 For more on M'Gann, check out our partners at ArrowverseWiki.